For a responsible sixteen-year-old, Michael Wilson has a lot of problems–his father was killed in Afghanistan in 2005, his overworked and overprotective mother will not talk about their situation, and does not want him playing football, and he has suddenly started to receive letters that his father wrote before his death. Why I recommend it: This book really made me think about what it would be like to be in high school and suddenly get letters from my dad, who had died in combat. I was impressed with how the author brought out the good and bad of war … and didn’t guide the reader to one side or the other. Why I recommend it: I love the book, Pride and Prejudice, so I wanted to see how an author brought it into current times. I was prepared for the worst but, I have to say, I loved how the author was able to write a contemporary version of this classic. I thought it was well done, in a light and fun way. 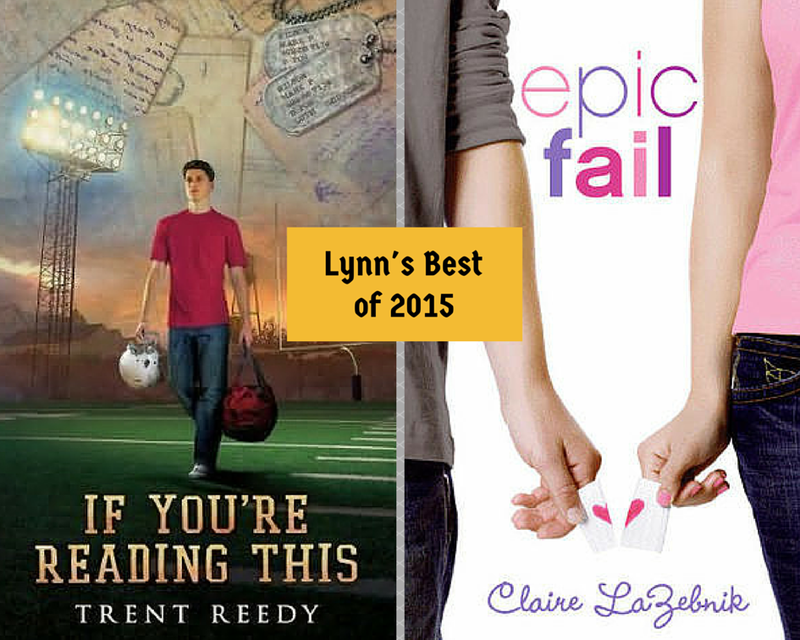 This entry was posted in Best of 2014, Lynn and tagged high school, realistic fiction, true love. Bookmark the permalink.